M.E.C.’s C70L Series are tubular low pass filters of Chebyshev equi-ripple design. They consist of stepped-impedance, semi-lumped elements in a low-loss air or dielectric transmission line. The number of elements determines the sharpness of the skirt and rejection level. However, more elements also increase passband insertion loss and filter length. The stop band is reflective and extends from the cutoff frequency Fc to an upper frequency limit beyond which the transmission line becomes over-moded allowing possible spikes or holes in the rejection response. 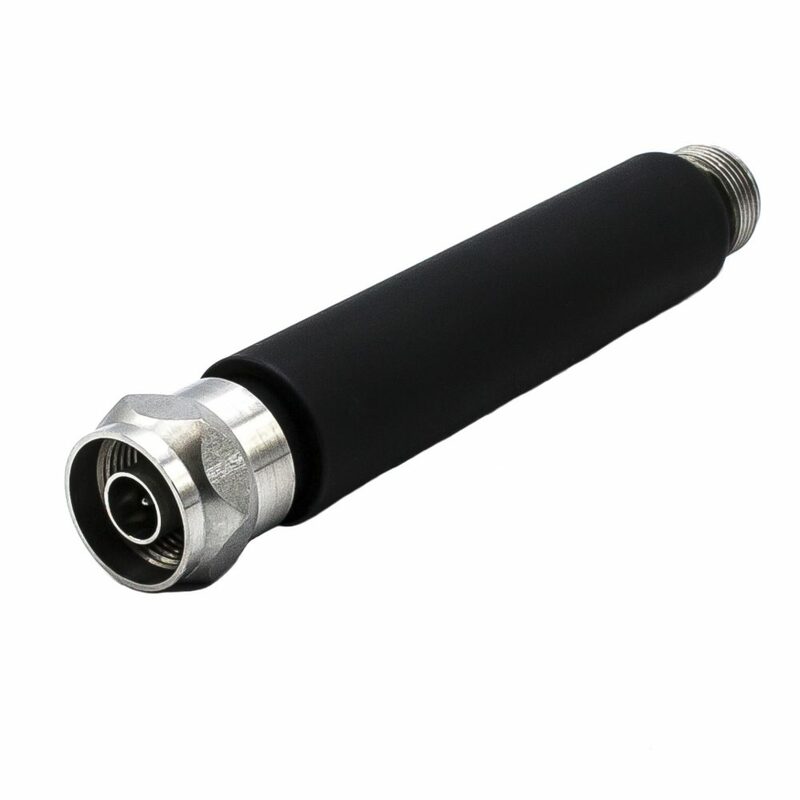 M.E.C.’s C70LH Series filters are high power versions of the C70L Series and are limited only by the power capability of the coaxial connectors used. The low and high-power models listed below represent a practical compromise between selectivity, loss, length and upper frequency limit for general laboratory use, although other combinations of characteristics may just as easily be made to fit your exact requirements. Low pass filters are recommended at the output of broadband RF sources and in test set-ups to eliminate undesired harmonics and other spurious outputs for increased measurement accuracy. They are also used in signal processing, individually and in more complex assemblies, to separate various frequencies. Filter housing is aluminum with chromate conversion finish per MIL-C-5541, Class 3. Connector shells are passivated stainless steel. Paint is gray epoxy enamel for the C70L Series and high-temperature black for the C70LH Series. *Including 1 male and 1 female type N connectors. † Consistent with connector. (1) To specify connectors, add suffixes (see table below) to the model number. Also note the maximum frequency and power limits shown.